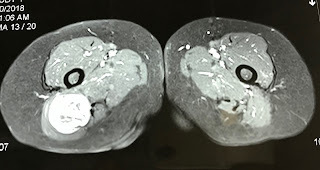 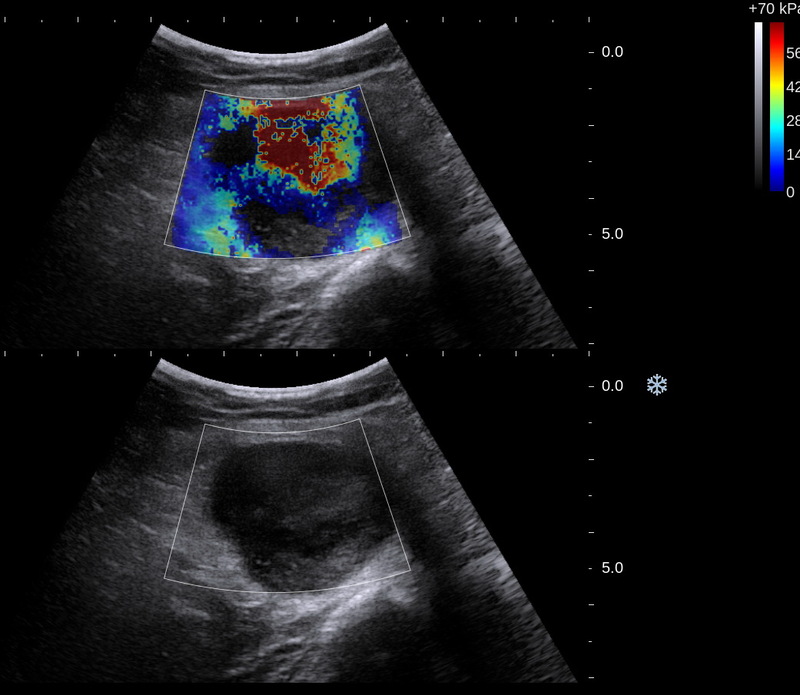 VIETNAMESE MEDIC ULTRASOUND: CASE 473: SCIATIC NERVE TUMOR, Dr PHAN THANH HẢI, MEDIC MEDICAL CENTER, HCMC, VIETNAM. 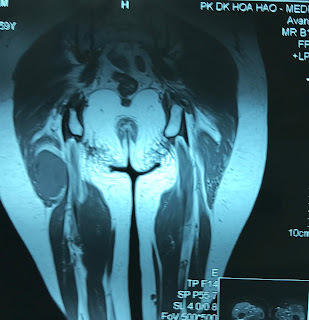 CASE 473: SCIATIC NERVE TUMOR, Dr PHAN THANH HẢI, MEDIC MEDICAL CENTER, HCMC, VIETNAM. 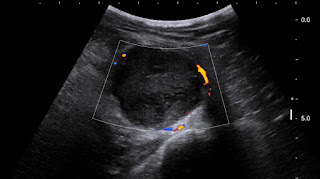 Woman 59yo detected one mass at right buttock that is in slow growth and no painfull. 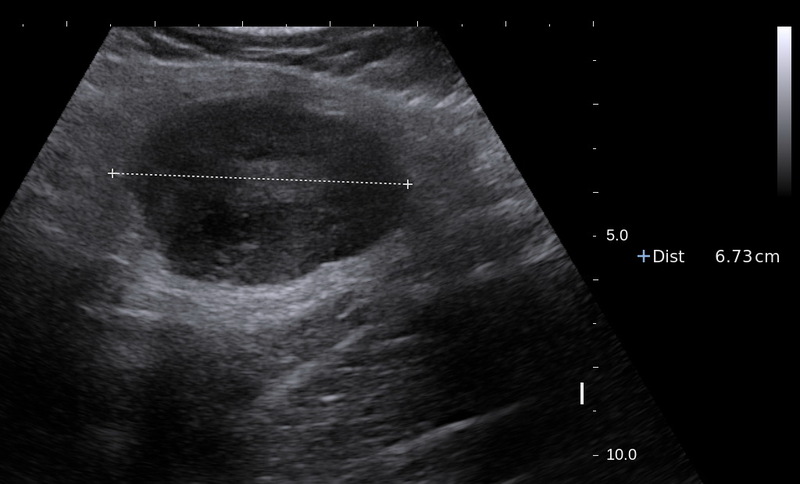 US 1= longitudinal scan of this mass with size 6.7 cm, ovoid, hypoechoic in gluteus maximus muscle near sciatic nerve like a size of a mango. US 2 = crossed section of this tumor is well bordered and hypovascular pattern. 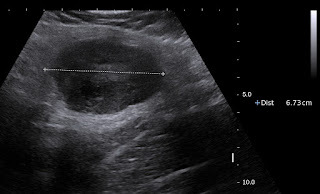 US 3 = elasoscanning of this mass is inhomogeneous structure. 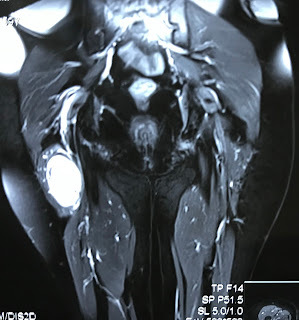 MRI 2 frontal view this mas is bordered of right sciatic nerve. 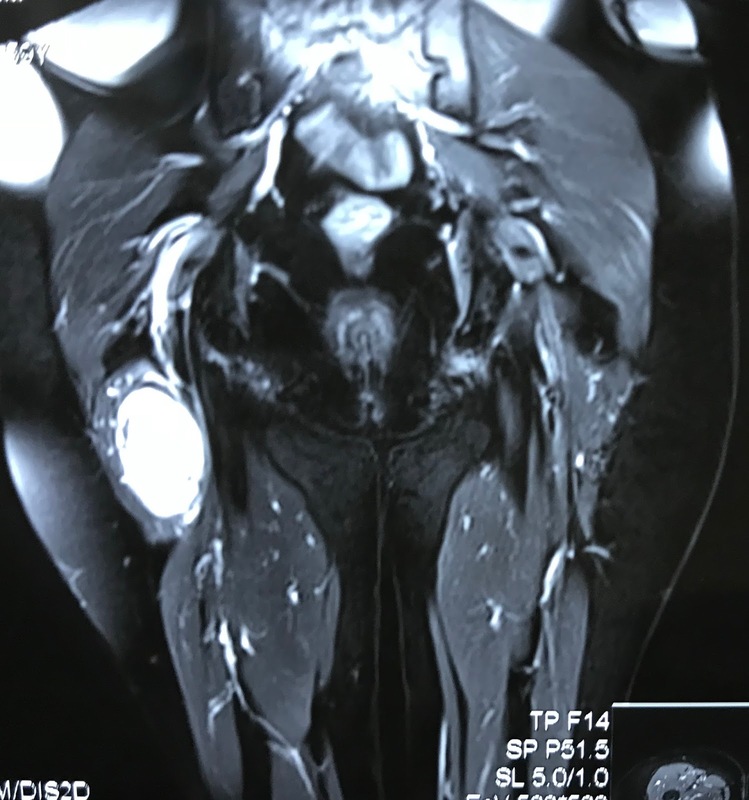 MRI 3 relation of this mass and right sciatic nerve. Core biopsy is done and histology report is neuroma.